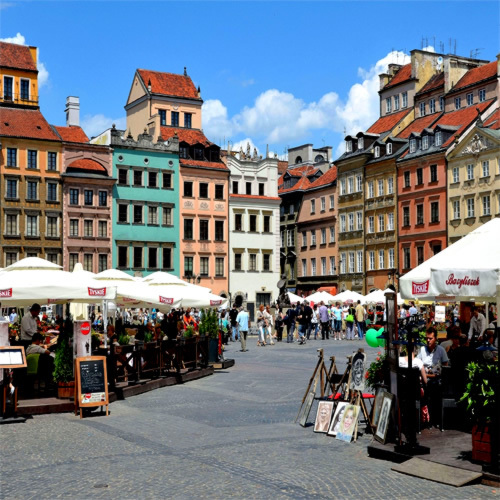 When Warsaw, Poland`s capital and largest city, was founded nearly 700 years ago, it was a small but vibrant trading post where the Old Town Market Square (now a UNESCO World Heritage Site) was the center of daily life. The Warsaw of today is a metropolis of three million people spread across 200 square miles, far from its humble beginnings on 35 acres. The Warsaw of today has survived indignity and strife. 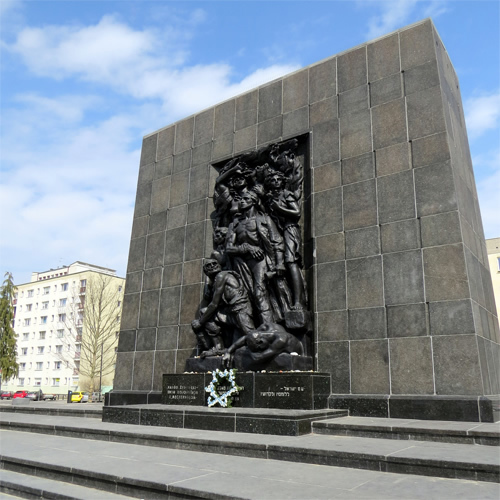 It survived three partitions of Poland; a systematic carpet-bombing during World War II; and later the Communist regime, which limited freedom of movement and expression. 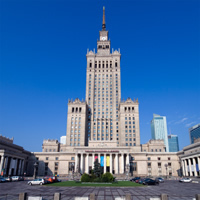 Now Warsaw is one of Europe`s hubs of art, culture, entertainment and gastronomy. Warsaw is ready for you to admire its beauty and enjoy its charm. The two must see`s for a vacation in Poland! Warsaw (With its painstakingly recreated historic center and Old Town buildings) and Krakow (one of the oldest cities of Poland; cultural and artistic center of the country, and the former seat of the Polish kings). Travel between them by train. This is a flexible package. Select your number of nights in each city, desired hotel and activities. 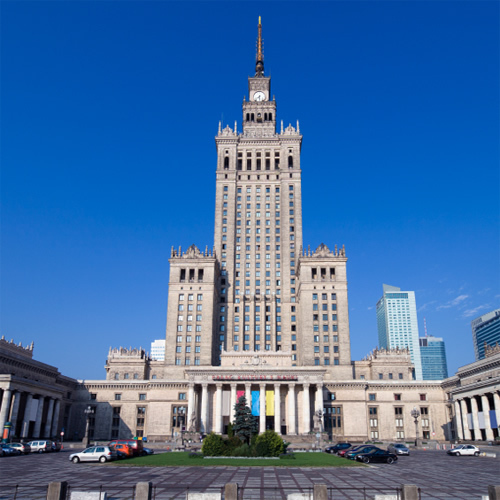 Combine Warsaw, Krakow, Gdansk and Warsaw with the IC Train. Combine Warsaw, Gdansk and Warsaw with IC Train. Explore Europe like never before, starting this adventuring in Poland and ending in Czech Republic. Begin in Warsaw (a wealth of shops and restaurants in the painstakingly reconstructed Old Town) and continue to Krakow (a cultural and artistic center of Poland), Budapest (a dual city - historic and modern), Vienna (classical music, waltzes, delicate almond cakes and interesting museums) and finally Prague (centuries of rich culture and history combined with modern shops and restaurants). All transportation between cities is by train. This is a flexible package. Select your number of nights in each city, desired hotel and activities. Take an unforgettable vacation through Europe and Combine Berlin, Krakow and Warsaw with trains between cities. There is simply no shortage of museums, churches, parks, historic sights or activities to explore in these fascinating cities. This is a flexible vacation package. Select your number of nights in the city, desired hotel and activities. Combine Stockholm (Built on 14 islands around one of Europe`s largest and best-preserved medieval city centers with stunning and extremely varied scenery in every direction) and Warsaw (with a historic center painstakingly recreated with Old Town buildings reflecting the original architecture; the Former Jewish ghetto is a stark reminder of the unforgiving hand of history and excellent nightlife). This is a flexible vacation package. Select your number of nights in the city, desired hotel and activities. Our hotels were excellently located and quite nice!